This Saturday is my twenty-third wedding anniversary. The great thing about real life happily-ever-afters is they last longer than the fictional ones that wrap up in a chapter or two. 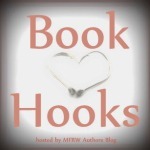 One thing I really love about reading a series is the view we sometimes get of characters we saw fall in love, years later—how their marriage has evolved, maybe a kid or two—a reassurance that things are still hunky-dory for them. 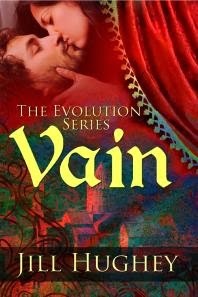 I had a hard time choosing which of my Evolution Series couples to pick for the hook this week, but decided on Theo and Lily from Vain, who visit us again in the novella, Little Witch. The woman Nox is trying not to fall in love with has disappeared and he has come to his employer for advice. “Is Salena here?” Nox asked, addressing Lady Lily. Grant mumbled a greeting, keeping a wary eye on the lord who studied him and Nox keenly, a white scar standing out on his clenched cheek. Nox made a quick introduction and explained what little he knew of the situation. The Lord of Ribeauville listened intently, then stopped Grant when he began to offer details. He forced them to pause while Lady Lily gave Grant dry clothing and the housekeeper brought warmed wine and food. He saw them settled into chairs by his desk before he would hear another word. Lady Lily glided in to stand behind him. Her presence, her hand lighting on his shoulder, sharpened him. The Lady of Ribeauville was concerned. They now had the full weight of her husband’s attention. A vicious neighbor uses a series of coincidences to label Salena as the local moon-charmer and outcast in rural Francia. When Salena encounters her brother’s childhood friend, Nox, out on business for the Lord of Ribeauville, she worries he will accept the locals’ tales about her, especially since they relate to the death of his family a decade before. He is, instead, as charmed by her as she is by him. 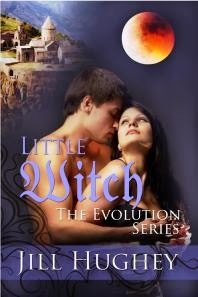 As I mentioned above, the excerpt and blurb are from Little Witch: A Historical Romance Novella, but the featured couple’s story is told in Vain, which is Book 3 in the Evolution Series. Thank you for visiting. 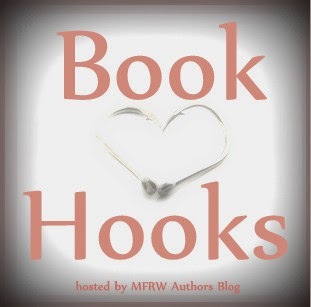 Make sure to hop over to some of the other author’s Book Hooks by using the “Click here” link below.